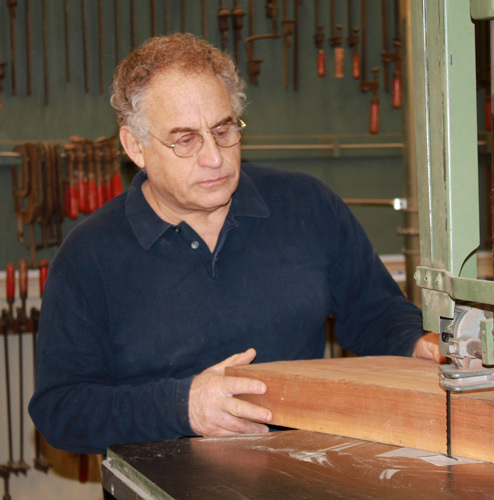 "Joel Mark" Kupperstein is a master cabinet and furniture maker with nearly 40 years of professional experience. In 1977 Joel founded Joel Mark Cabinetmakers, Inc., a custom architectural woodworking company located in Brooklyn, N.Y. For the following 28 years he worked primarily in the highly competitive New York City metropolitan area. During this time, he worked with many of the area’s prominent architects and designers, particularly in the realm of residential interiors, corporate executive offices and showrooms. Joel, having a technical background, with a B.S. degree from the Clarkson University School of Engineering, also gained a reputation for tackling the more technically complex and challenging woodworking projects, some of which have been featured, over the years, in respected architecture and design publications. Following the many years in NYC, Joel and his wife, Lynda, decided on a major lifestyle change and relocated to the New York Berkshires where they had maintained a weekend home for some 15 years. Joel erected a new shop on their property and set out to fulfil his longstanding ambition to design and build original museum quality furniture. Joel currently works independently, crafting fine furniture along with select architectural woodworking projects.